Hyacinth quartz. 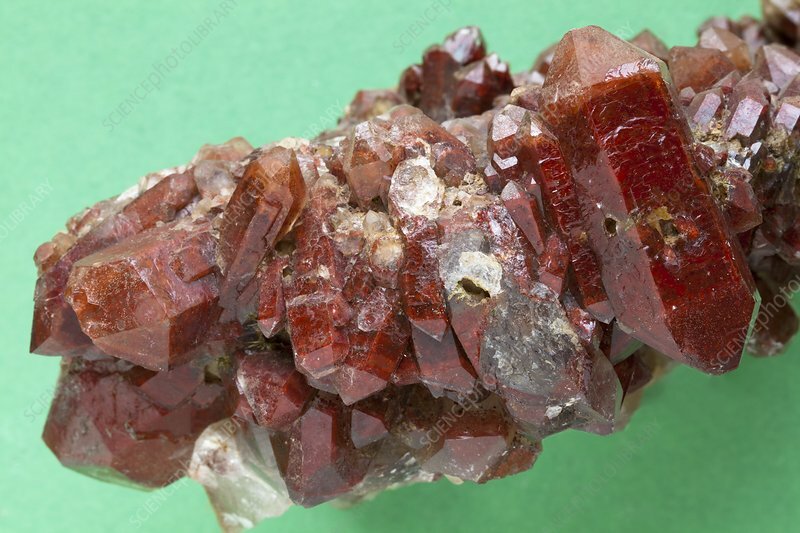 Cluster of red-coloured quartz crystals. Quartz is a form of silica (silicon dioxide). The colouring seen here results from haematite (iron oxide) dispersed in the quartz crystal lattice. This quartz variety may be referred to as hyacinth quartz. This sample is from Tsuala in the Kasai province of Congo, and measures 10cm wide. From Collection Royal Museum for Central Africa, Tervuren, Belgium.